Two rebels have got their mitts on Muammar Gaddafi's Fiat 500C Castagna EV. Confiscate at the dictator's home in Bab Al-Azizia, the custom-made convertible was ordered by Gaddafi in June 2009 by a go-between. 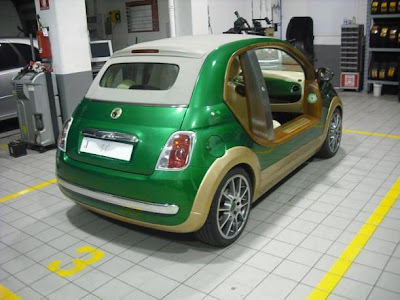 He requested that the vehicle be delivered by September with numerous bespoke alterations like a cream leather upholstery, jade green/gold paint, wood accents, and other Libyan themed highlights. 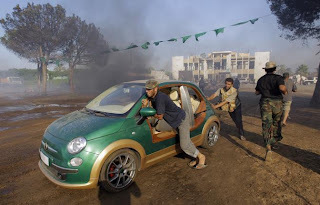 All this cost him tax-paying Libyans £88,550 (€100,000/$144,100) in which the vehicle was also ordered with a huge recharging system that allows a depleted battery to be fully charged in 10 minutes. 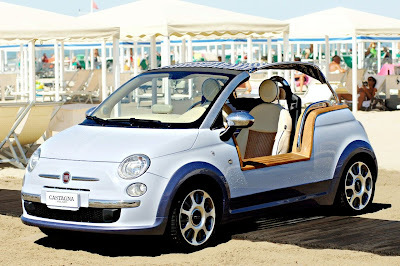 Forward-motivation comes courtesy of a lithium-ion battery which powers a 45bhp (46PS/34kW) electric motor. 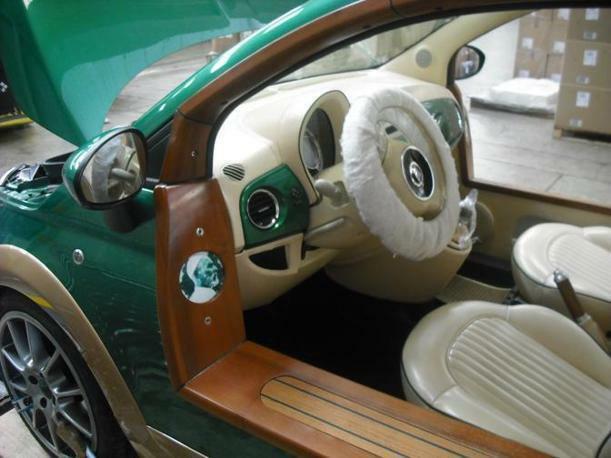 With a range of 162 miles (260km), the car has a top speed of 99mph (160km/h).